There’s one word that’s uttered in amateur sports far too often for most people’s comfort. It can make even the most experienced team parent cringe when they hear it – and it can silence the most rambunctious parents’ meeting. In fact, most parents would love it if it was gone from sports all together. It's the F-word. That's right... FUNDRAISING!
" So... who wants to handle fundraising this year?" So while parents look a their shoes, fake taking a call or just outright refuse, images of selling chocolates or cookie dough, or planning a Bud, Spud and Steak night leave most parents feeling like they want to run! Through online raffles, Funding Change makes fundraising for sports a cinch. There are no more physical tickets to print, manage or collect – and no more ticket buckets to wrangle at your game or event. Parents can raise funds 24/7 just by sharing a link with family or friends over text, email or social channels. Your team can run raffles that take place over a week, month or longer, instead of at every event or game! It’s possible to run a single raffle and track sales by parents, or even across multiple teams so they can all share in the proceeds. Take Hockey Manitoba for example. They run a first-of-its-kind, province-wide raffle with Funding Change. Through our competitive sales feature, every team in Manitoba sells tickets through a unique link assigned to their team, and Hockey Manitoba shares the proceeds of the raffle with them. Teams found it a simple and effective way to raise money! 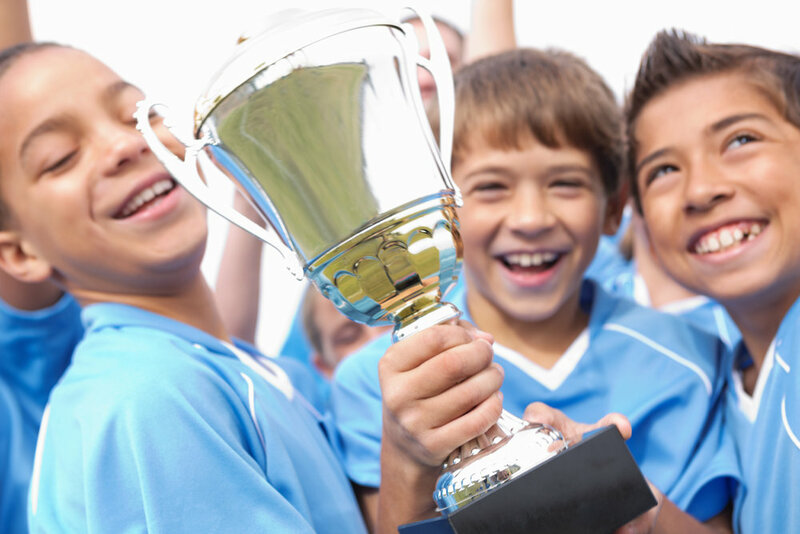 Why choose an online raffle for your team? Selling is as easy sharing a link with family and friends. Share your team’s link over your team app or email to get the team onboard! Wider reach for more sales through social media. No more cash to collect and keep safe. Draws happen with a click of a button. Real time 24/7 ticket sales updates and monitoring. Funding Change is licensed by the provincial regulator for gaming and certified by Gaming Labs International. Let us know if you have any questions or comments. Reach out to us online, visit our FAQ page or give us a call between 9-5 (CST) Monday to Friday at 204-480-4090. Ready to go? Get started now!